​Nutro Max Dog Food Reviews, Ratings, Recalls, Ingredients! Nutro Products Inc, is a subsidiary company of Mars Incorporated. 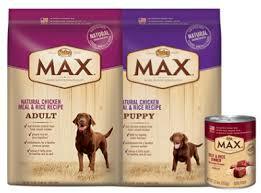 It produces a range of dog foods including Max, Natural Choice and Ultra brands as well as Greenies treats. The company has an interesting history. John Saleen purchased a dog food brand from a British businessman in 1926 and re-named the company Nutro Products, moving the headquarters to California. Nutro was a family run business and its USP was that it only used products available locally. This continued until the company was purchased again in 1976 and expanded globally. It now sells pet food in the US, Canada, Australia, New Zealand, Asia and Europe. In 1985 the company developed their Max line of foods with the advice of Dr. Sharon Machlik which incorporated chicken, lamb and rice. To promote this range they printed literature on the dietary requirements of animals to educate pet owners. They used this as a marketing tool as it demonstrated the comparative superiority of their ingredients to other brands and it was provided to retailers instead of traditional advertising. The company was acquired by Mars, Incorporated in 2007, and the headquarters was moved to Tennessee. They develop a number of food lines including canned, soft foods as well as bagged dry kibbles. Each has a selection of flavors and formulas for different age ranges and breeds. The Ultra line was created to provide a high-end holistic product. Nutro dry food at made through an extrusion process and contain vitamin E as a natural preservative. They claim there are no fillers or un-natural additives or ingredients in any of their foods. In 2006 the company won a blue ribbon for their food when Nutro´s adult lamb and rice formula became America´s number 1 bestseller. Certified by the Safe Food Certification Programme which is designed to meet the safety issues specifically related to the manufacturing of pet food. Both pet food certification programs are administered by the Safe Quality Food Institute (SQFI). All their facilities are checked by the Food and Drug Administration (FDA) and they adhere to Good Manufacturing and hygiene Practices, all regulated by the FDA. Based on my analysis of the ingredients I would award it the following rating due to the fact that it has a higher than average quality of ingredients but the inclusion of other protein sources and some controversial ingredients means it misses out on the top rating. Better Digestion: As an animal nutritionist I know that if your pet consumes more natural products then their bodies will better absorb the food and aside from good health, this has one major bonus. The dog will produce smaller, less smelly waste and so there will be fewer trips to the yard with the pooper scooper! Surely good news for any pet owner! Research: Mars funds research through The Waltham Centre for Pet Nutrition they claim that their knowledge is fundamental in bringing the company´s vision to life. The center is an authority in pet nutrition and wellbeing and it collaborates with the world’s most renowned veterinary and nutritional scientists. Nutro prides itself in working with pet food experts to deliver proven pet food formulas. Product Range can be tailored to life-stages: This is important because animals require different nutrients at different stages. For example, a puppy needs 4.4% more protein than an adult dog and 5.8% more calcium. There are risks to switching puppies to adult formulas too quickly as they may not have enough nutrients and energy to grow and it could cause skeletal problems or lameness. Energy requirements for senior dogs are 20% lower than those for an adult, reflecting decreases in activity and changes in body composition. 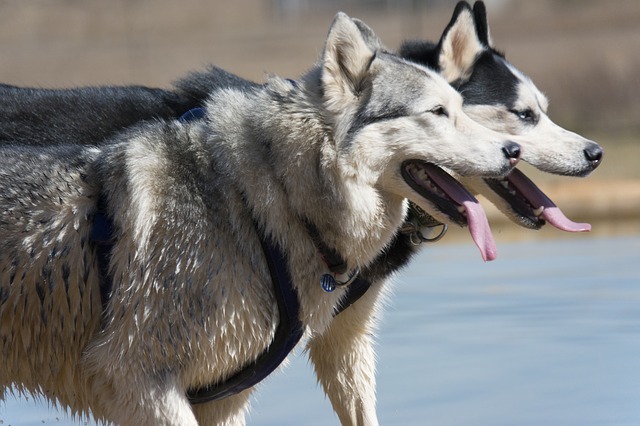 Some senior dogs need considerably fewer calories per day to reflect a decrease in activity. Diets for senior dogs also need to contain many nutrients at increased amounts to compensate for the energy reduction, including more essential amino acids, vitamins and minerals. Nutro Products, Inc. has been criticized by People for the Ethical Treatment of Animals for hiring below–par animal testing laboratories to test their products. The company denied that it employs animal testing. Expensive: Not surprisingly given their claim to include top quality ingredients this food is going to make a larger dent in your wallet than other dog foods. It is also dearer than the Nutro Natural Range. I found the list price of the Adult dry dog food to be $34.99 for a 25lb bag, while a non-health food brand of adult dog food has a list price of $27.95 for a 40lb bag. Nutro Max dry food chicken recipe also comes in a mini chunk recipe which it claims is easier for your dog to chew. The ingredients are all natural and contain no corn, wheat or soy protein. The flavor of real chicken is sure to be popular with your dog. Brown rice which is easily digestible and provides sustained energy with the correct balance of fiber to ensure better nutrient absorption which results in fewer stools being produced. Peas, which are a good source of vitamin B.
Chickpeas which are a superfood for dogs, reducing the risk of diabetes and a valuable source of fiber. Whole grains which reduce the risks of kidney disease, diabetes, high cholesterol and some cancers. My only reservation with the ingredients is the inclusion of other protein sources such as chickpeas, flaxseed and peas mean that its proclaimed 26% protein content might be a lower % of meat than a consumer may expect. Nutro max also have a grain free range which more and more pet owners are now considering being akin to the principles as the Paleo diet for humans because grain free recipes follow the high protein diet that is natural for a carnivore. It is only recently that commercial dog food started to be packed with artificial fillers such as corn and wheat. The argument is that you would not see a wolf grazing in a field of wheat, so why give it to our animal? However, in the standard Nutro food, whole grains are used which would be healthier than corn. In April 2008, consumeraffairs.com reported multiple cases of diarrhea, vomiting and other intestinal problems in pets fed Nutro products. Nutro stated that their products undergo rigorous safety testing and are 100% safe. In September 2008, the Pet Food Product Safety Alliance (PFPSA) tested samples of Nutro dog food in response to the consumer complaints on consumeraffairs.com and found levels of copper in excess of AAFCO recommendation. Zinc levels were approximately 2-4 times the minimum recommendation of 120 ppm but still within the maximum recommendation of 1000 ppm. The PFPSA has criticized the recommended zinc levels as excessive. Nutro rejected PFPSA's claims stating that both zinc and copper levels were within recommended levels, reiterating that their products undergo "rigorous quality assurance testing". I have found no evidence of recalls of Ultra Max products in the last 2 years . Is Nutro Max a Good Dog Food? Based on my research of the Nutro Max dog food reviews, I would suggest that the Nutro Max range is founded on excellent principles and values and would provide your dog with an above-average dog food. Its ingredients will provide you furry friend will all the nutrients it needs to live a healthy active life. I am slightly concerned about past complaints of high zinc levels but in my research, I have found no recent complaints and I have read the range of educational documents that Nutro have sponsored on pet nutrition and I commend Nutro for the advances they are making in pet health. Precise Dog Food Reviews, Ratings, Recalls & Ingredients!